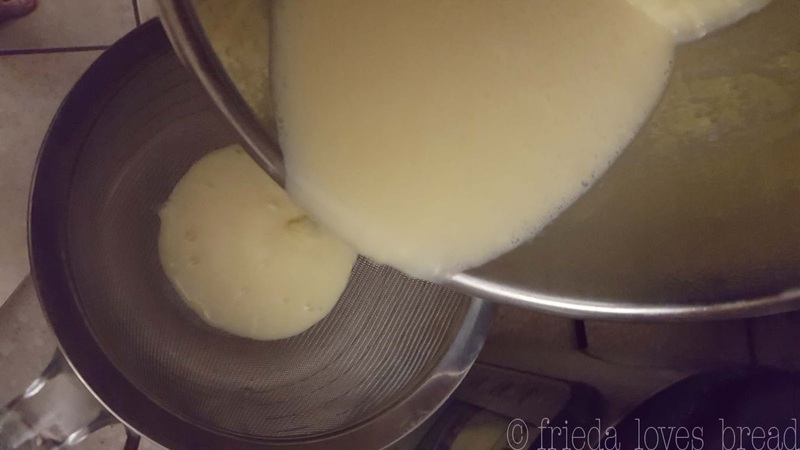 Frieda Loves Bread: Instant Pot Creamy Egg Nog! 0 Instant Pot Creamy Egg Nog! 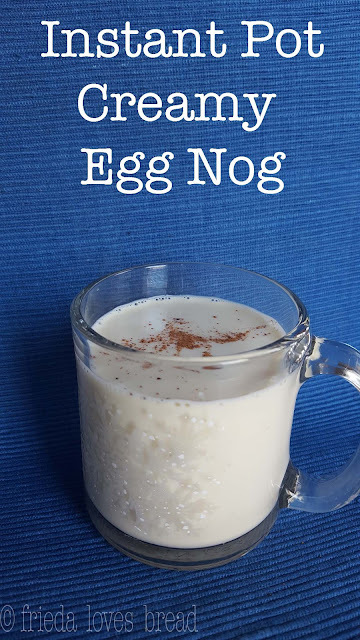 Egg nog is a favorite around the holidays. 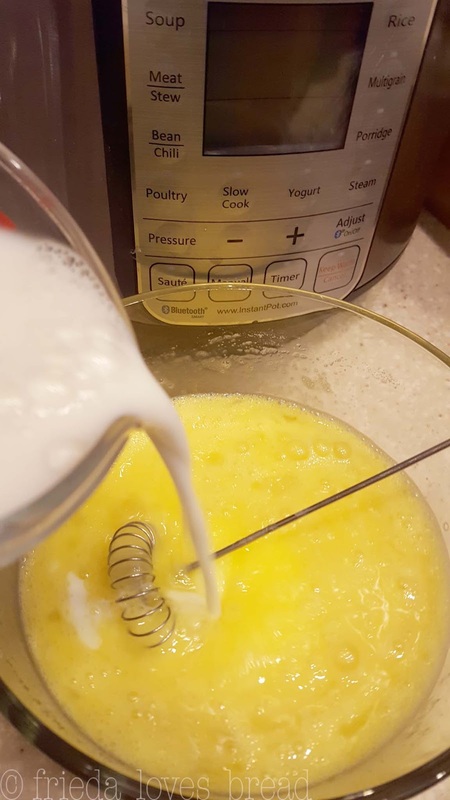 If you are concerned about using raw eggs in egg nog, you may want to try this 'cooked' or custard version. Cooking your eggs will ensure that your egg nog is free from any salmonella bacteria, which is great if you have guests that are young, pregnant, or elderly. It is important to use fresh eggs and fresh milk with this recipe. What works even better is using superfine sugar and freshly grated nutmeg. This recipe is super easy, as you don't have to separate your egg/egg whites, or whip up some heavy cream to add later. 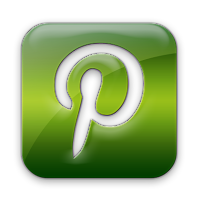 This is a cool tip, and one that you will want to use for this recipe and for when you make yogurt in your Instant Pot. Dump out the ice cubes and water, but don't wipe the pot dry. 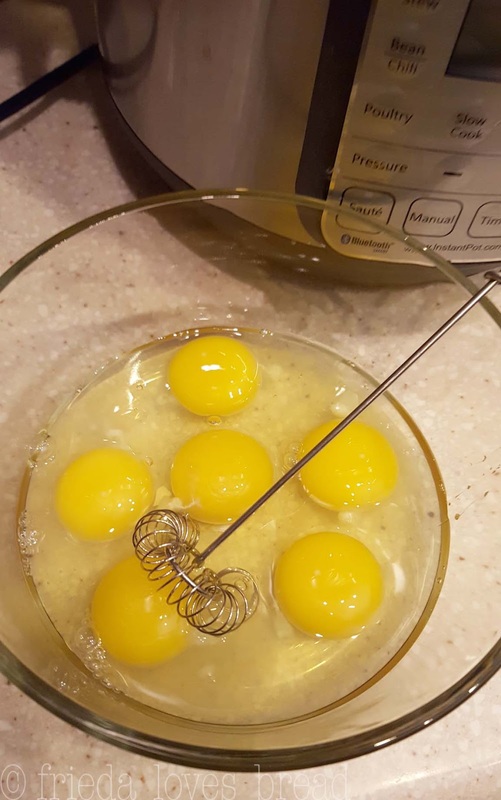 In a separate bowl, whisk your eggs. Add your sugar. I started with 3/4 cup. 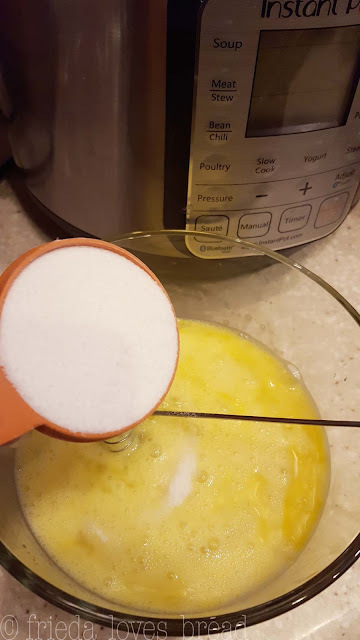 If you have superfine sugar, that will mix in and dissolve more readily. If you want to use honey, you may want to add it after your milk has heated, as it will dissolve more easily. Add your milk. I used 1%, but you can use any milk percentage you want. Whole milk will give you the creamiest texture. 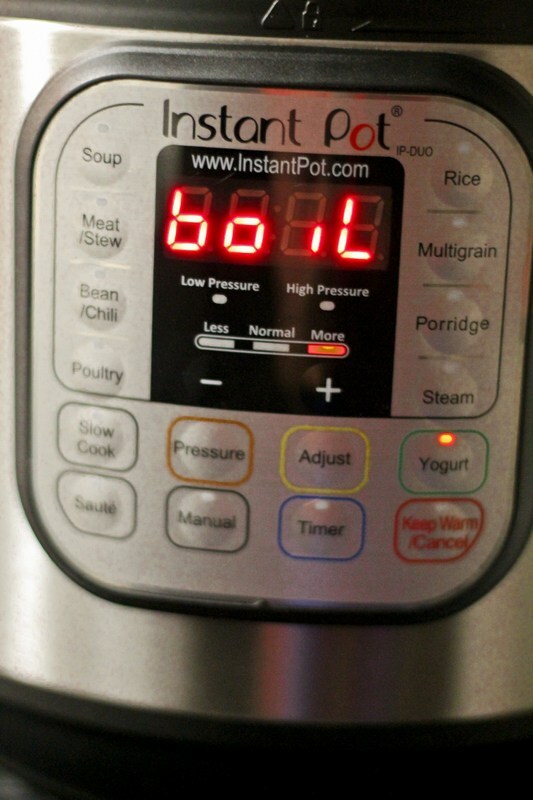 Pour your mixture into the Instant Pot. Close the lid, the vent, and select Yogurt, then Adjust. Your display should read Boil. Yogurt and More will light up. When the cycle is complete, take the temperature with an instant read thermometer. It should read at least 160°F. 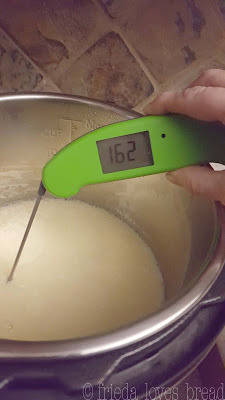 If not, select Saute, Adjust to Low, and stir the milk till you reach 160°F. This will give you a custard style egg nog and help thicken it. Pour the milk mixture over a fine mesh sieve that is set inside a bowl or 8 cup glass measuring cup. Scrape out the cooked egg mixture from the bottom. Don't worry! The ice cubes have prevented the egg/sugar mixture from scorching and sticking. The egg mixture is very soft. Push all of the the egg mixture through the sieve. Don't worry, your egg not will not be lumpy. It will be smooth and creamy. You may need to scrape the bottom of the sieve to continue. 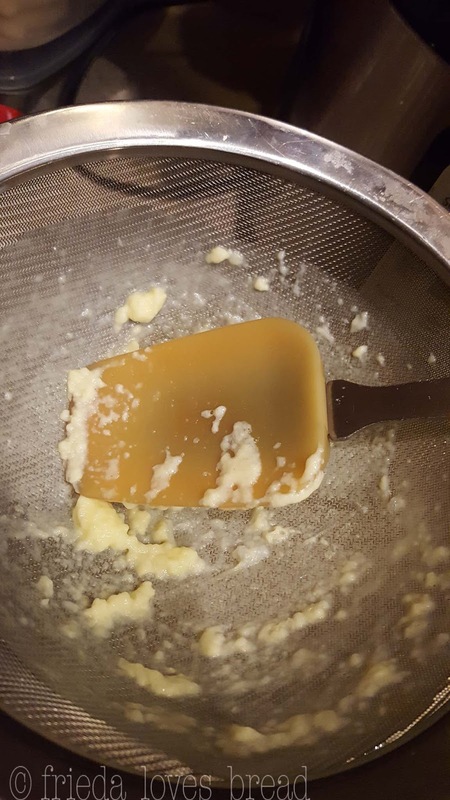 *One reader doesn't use a sieve - she simply puts in in her BlendTec mixer until smooth and creamy. 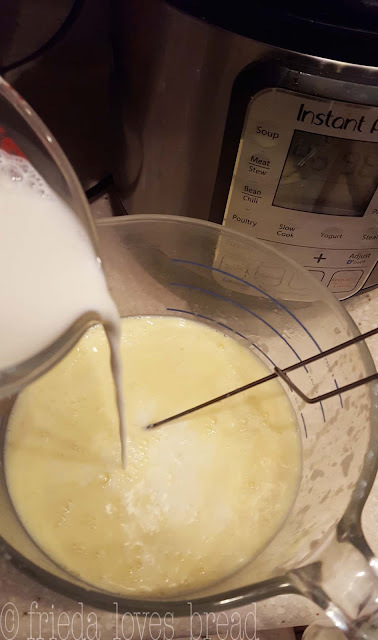 Add your half and half to the warm egg/milk mixture. Stir till combined. Add vanilla extract (I make vanilla extract in the pressure cooker!) and ground nutmeg. If you have access to a microplane zester and fresh nutmeg, go for it. The taste and aroma will be incredible! Put this mixture into a covered pitcher or container and chill for several hours or over night. Shake or stir before serving. 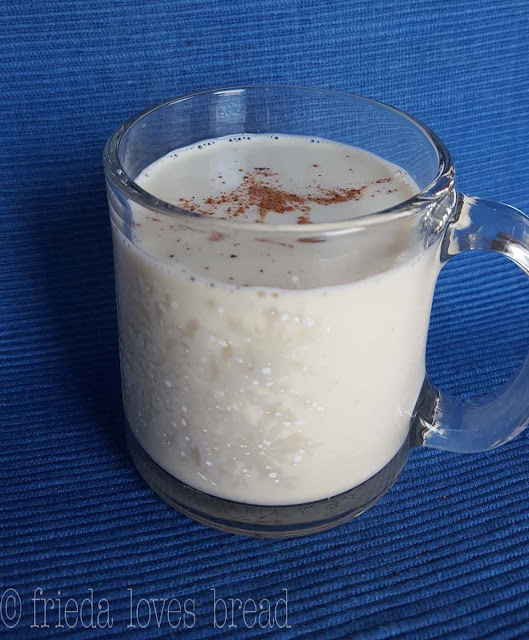 Enjoy a glass of creamy egg nog, using the Yogurt setting on your Instant Pot! For the creamiest egg nog, use a combination of whole milk with heavy cream of half & half milk. Recipe Note: You can use any milk that fits your dietary needs. You may need to adjust the amount of sugar based on taste and if your milk is naturally sweet. 1. In a medium sized bowl, whisk the eggs.2. Add sugar, whisk to dissolve.3. Stir in 2 cups milk, mix well and set aside. 4. Put the ice cubes in the pressure cooker insert. 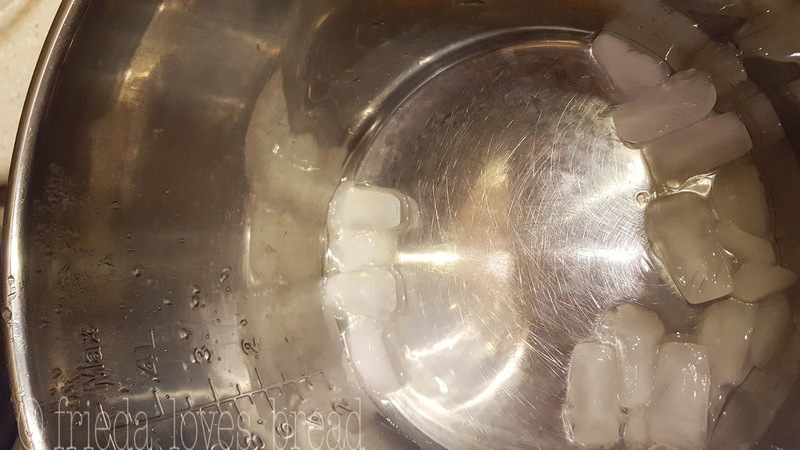 Swirl the ice cubes to cover the bottom of the pot. Empty the ice cubes and the water, but do not dry the insert. 5. Pour in the egg mixture into the insert and put insert into the pressure cooker. 6. Close the pressure cooker, and close the pressure valve. Instead of using the pressure cooker lid, you can use a dinner plate, lid from your pots, or a flat silicone suction lid. 7. Select Yogurt More (boil) setting according to your model. 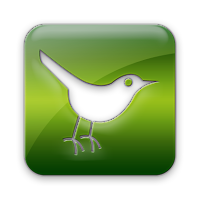 The Ultra uses (HIGH or Customize setting) and will take about 20-25 minutes. 8. Open the pressure cooker, whisk, and take the temperature. If the temperature reads 160°F or higher, remove the insert from the cooker. If the temp is less, use the Saute Normal setting, and whisk until you reach this temperature. 9. Set a fine mesh sieve over a large bowl. 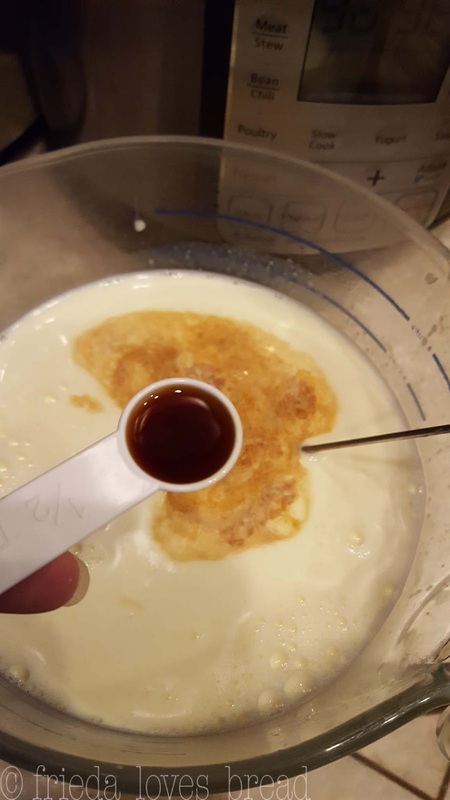 * Put the hot egg/milk mixture into the sieve, pushing the egg mixture through with a silicone spatula or spoon. *You can use a blender to mix the egg nog, instead of a sieve. 10. Stir in the half & half milk or heavy cream. Add vanilla extract and nutmeg. Pour egg nog into a covered pitcher or container and chill for several hours or over night. Egg nog will stay fresh in the fridge for 4-5 days.